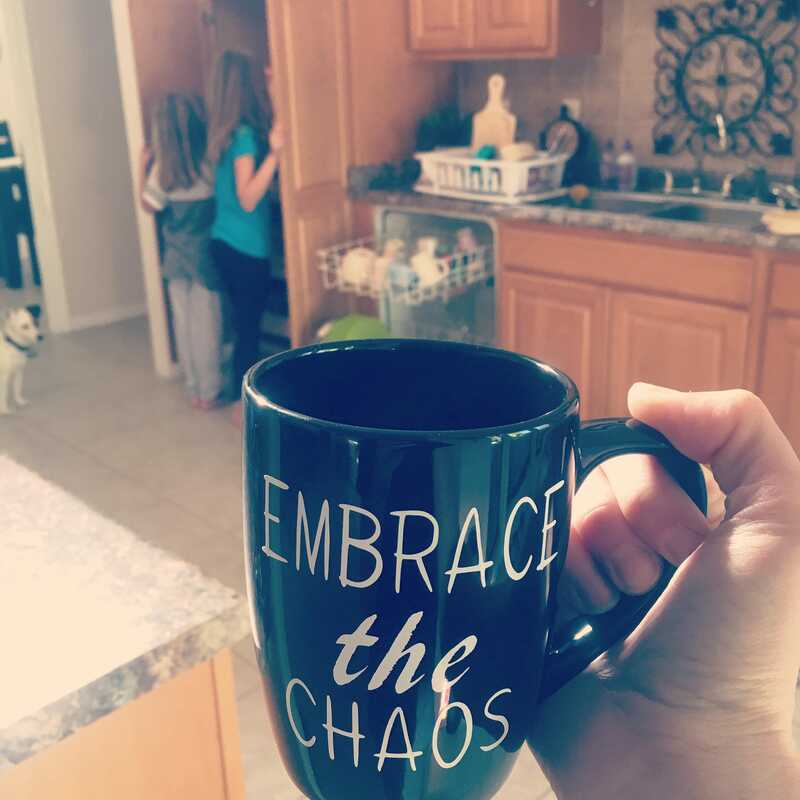 Live in the moment, make the days count! 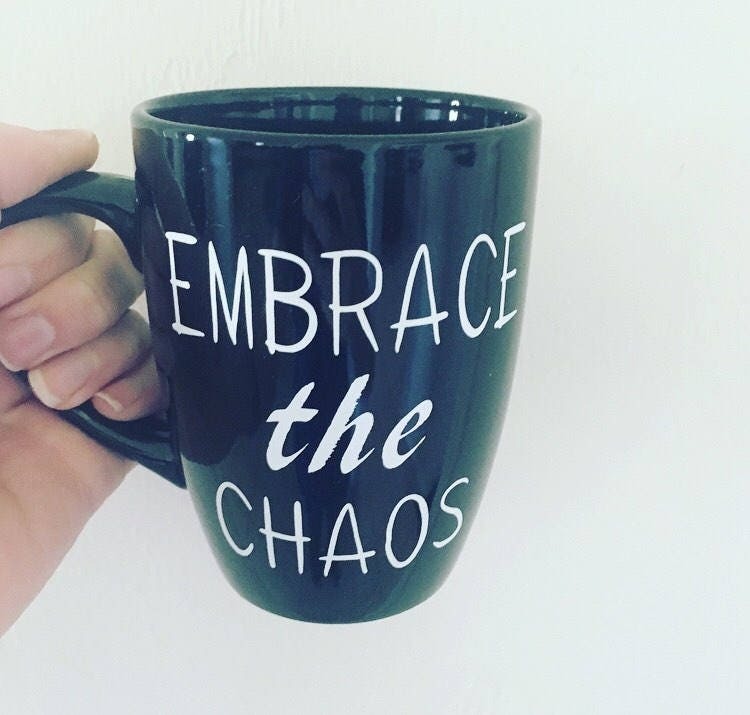 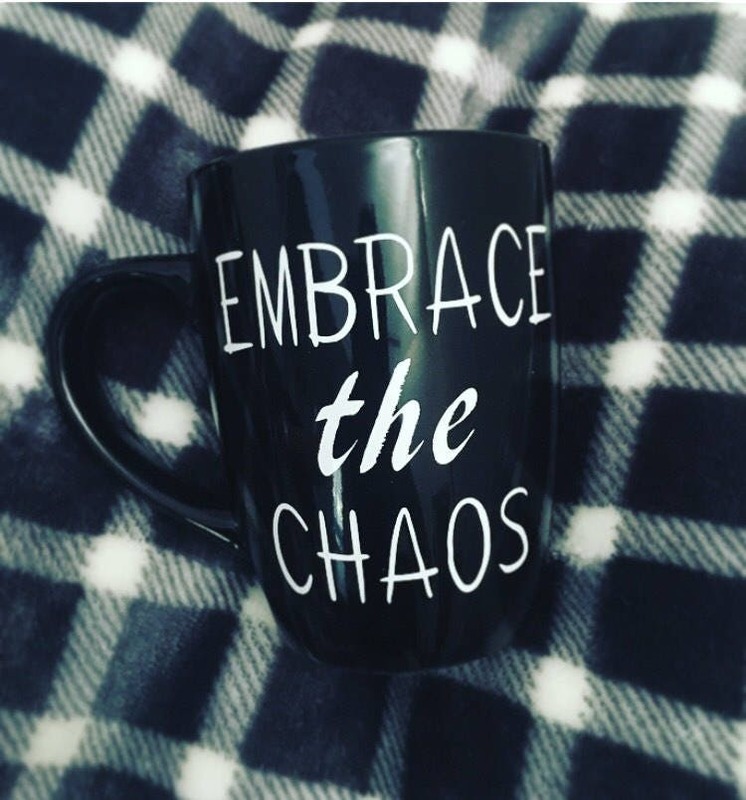 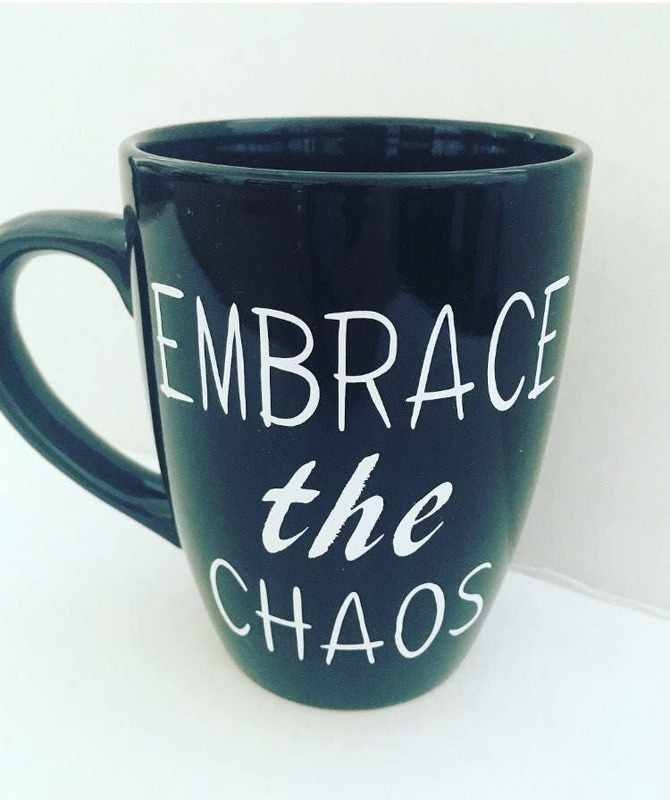 Enjoy that coffee with this mug, while embracing the chaos around you! 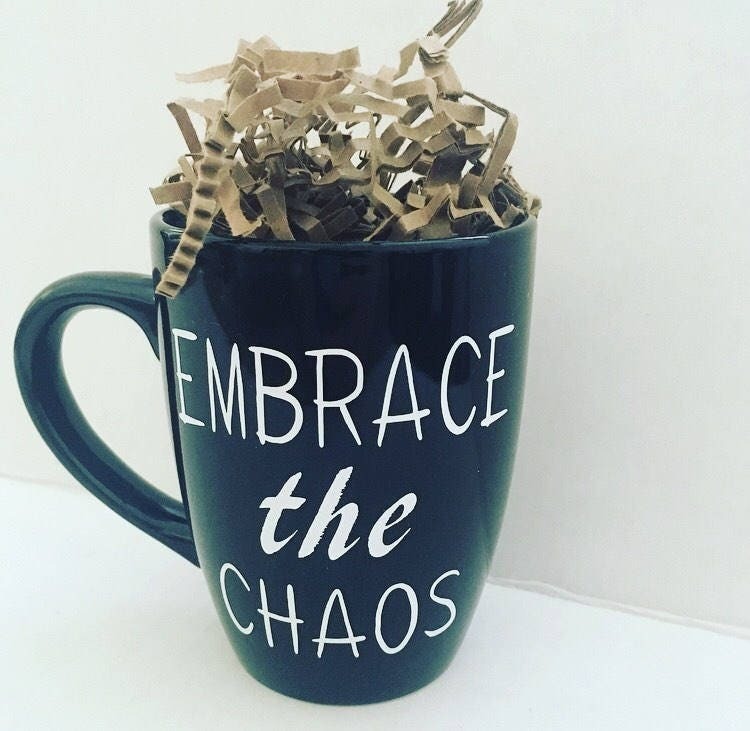 This 12oz black coffee mug, with black interior and white permanent vinyl lettering is perfect to capture the chaotic moment.